"New Yorkers were most likely to wave their fists or arms. They were most likely to lay on the horn and they were most likely to make some sort of obscene gesture,"
Obscene Gesture? Wave their fists or arms? What the #$? @ is that supposed to mean? I grew up driving in NYC and that's where I learned. Those are not obscene gestures or random flailing of limbs. Those are polite criticisms on other people's driving skills, but since they can't hear us in our car we need to move around a bit more to be noticed. At least when people drive around NYC you know what they are going to do. They drive aggressively (It's not defensive driving there, it's offensive driving). I currently live in Salt Lake City and if the people weren't so damn nice here I would probably rip off their heads as I drive around. It's not that they are bad drivers here, it is more as if they have no clue that other people are on the road. When a person pulls into the left lane, for no reason, doing 10 under the speed limit, just as I was about to pass him, that is enough reason for their license to be revoked, I feel. Keep in mind this has happened on more than one occasion. I could probably go on for hours describing the inability of people to drive here, and probably most other places, but please, don't insult my NY drivers. At least they can drive (Ok, at 90 while flipping you off, but I can handle that). 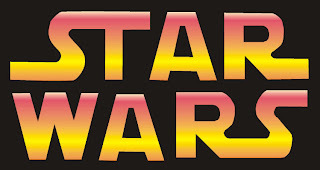 I have updated the four Star Wars checklists on my site. I have also added a new Update Page with a list of all of the updates from the previous versions to the current versions. Fantasy Olympics - Actually a lot of fun. A website devoted to playing the Fantasy sports thing with the Olympics. Ok I was just pointed to this site, Lovelylisting.com, via my Money magazine and it is great. I laughed so hard I started to cry. Really. And no, it has nothing to do with money. It is all about bad real estate photos that the blogger posts and makes comments on. And just coming off of house hunting last year I can appreciate them all the more. 5 Months in and things are slowing down. Finished bar, YEA!!!! Next up I am doing some little things around the house like building a wood holder for the outdoor fireplace and repainting the guest bedroom. Finished another book on my 100 greatest books list. And still waiting to hear from the University of Utah regarding my residency status and my loan status. I also started researching PhD topics and that should be narrowed down within the next 2 months.